The Best Astrology Podcasts from thousands of Astrology Podcasts on the web using search and social metrics. Subscribe to these audio podcasts because they are actively working to educate, inspire, and empower their readers with frequent updates and high-quality episodes. Astrology Podcast newsletter is a comprehensive summary of the day's most important audio podcasts episodes from the best podcasters on the web, and delivered to your email inbox each morning. To subscribe, simply provide us with your email address. Denver, CO About Podcast The Astrology Podcast is a weekly podcast covering a wide variety of topics related to astrology, hosted by Chris Brennan. About Podcast Astrology for beginners. How to make a chart using FREE on-line resources. The Series starts with Chart Shape and what that means for you. Please start at Episode One and work your way forward through each Episode to find out all about your chart and what it means. Each week we will be discussing various parts of your Astrological birth chart, using real case examples helping you get to grips with this ancient Art. Facebook fans 208. Twitter followers 979. 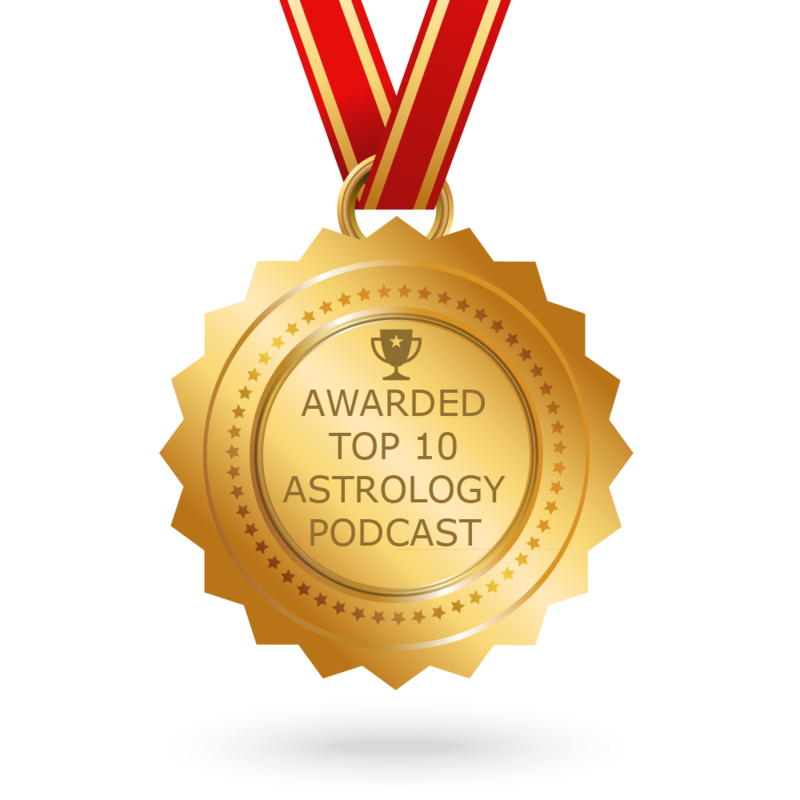 About Podcast One of the top Astrology podcasts for ten years now! Tune in to Explore the current celestial connections and cosmic interplay between various dyads such as Earth/Sky, Lunar/Solar and Fixed/Volatile. Discover how to alchemically break apart, transform and re-integrate these apparent opposites into a new whole. Facebook fans 9,496. Twitter followers n/a. New York About Podcast InsightfulAstrology is a trusted resource that delivers the highest quality astrology information in a multimedia format. InsightfulAstrology has drawn much acclaim for delivering astrology to viewers in a practical and empowering way. Facebook fans 3,010. Twitter followers 4,855. Guildford, UK About Podcast We are Christina Rodenbeck, The Oxford Astrologer and Sally Kirkman of Sally Kirkman Astrology. Two well-known astrologers chatting over a cup of strong coffee or weak tea about their favorite topic the language of the stars. Once a month, we take astrology by the scruff of its neck and give it a good shake out. Our starting point is the star sign of the month and the major astrological events coming up. Facebook fans 3,370. Twitter followers 2,690. About Podcast Bi-monthly podcasts every new and full moon: about the current astrology on personal, relational, and political levels, guided meditations, and practical tools for working productively with astrological energy. Asheville, NC About Podcast The podcast that deepens your astrological wisdom. We always start with the forecast, and regularly include special features. CONGRATULATIONS to every podcast that has made this Top Astrology Podcasts list! This is the most comprehensive list of best Astrology Podcasts on the internet and I’m honoured to have you as part of this! I personally give you a high-five and want to thank you for your contribution to this world.